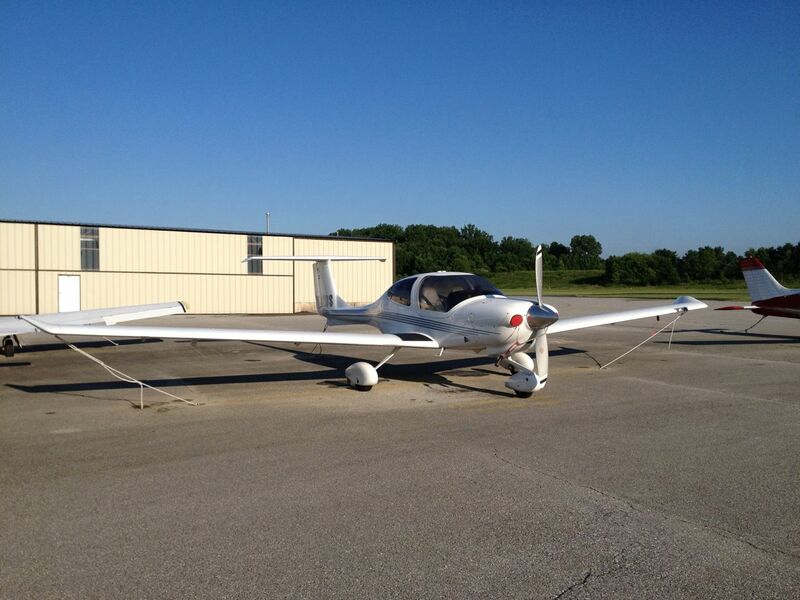 Here’s a photo of the Diamond DA-40 I mentioned in the previous post. This airplane is one slippery bird. It’s made of composite materials, which means no rivets, just a few screws here and there, and fairings to reduce drag around key components. All that smoothness means you can get a bit more speed out of 180 horsepower as compared to the same amount of ponies in the front of a Cessna 172. Of course, there’s more to it than that, including a different wing design and so forth. Either way, the Diamond DA-40 is a great plane. I’ve flown it on a few cross country journeys now, getting used to the electronics and handling characteristics. Plus, the visibility through that canopy is amazing. Don’t forget, ALWAYS do your checklist.